If you thought last year’s powder was a hit this year was even better. The Seniors came out strong with a lot of energy and enthusiasm. 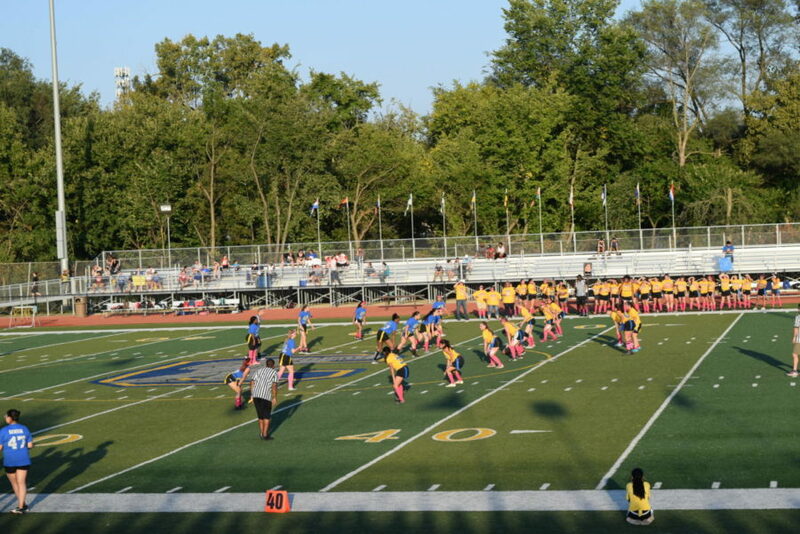 The first touchdown was made by Seniors, the Seniors were very hyped up and energetic and making the crowd go wild. The Juniors caught up by making one more touchdown making the score 14-7. While taking a little break from the game the halftime began the dude squad was taking over for this year powder puff. The dude squad did amazing this year, the dances made the crowd go crazy and they wanted more. The dude squad made the crowd dance and sing along to the dances they did. The dances involved many of the popular songs that teenagers listen to. The dude squad worked hard to achieve their own goal to keep the crowd entertained during halftime. Halftime was over and it was time to start the last quarter of the game. The Junior and Seniors seemed tired, but they were both determined to win and put a show on for the audience. The Juniors manage to tie up the game to 14-14 it was seniors last year and last powder puff game they had to put all their energy they had in the last few minutes they had for they can take the win. The Seniors manage to take the win 20-14. The Seniors ran and screamed doing a victory cheer. The senior will never forget they won the 2017 powder puff.